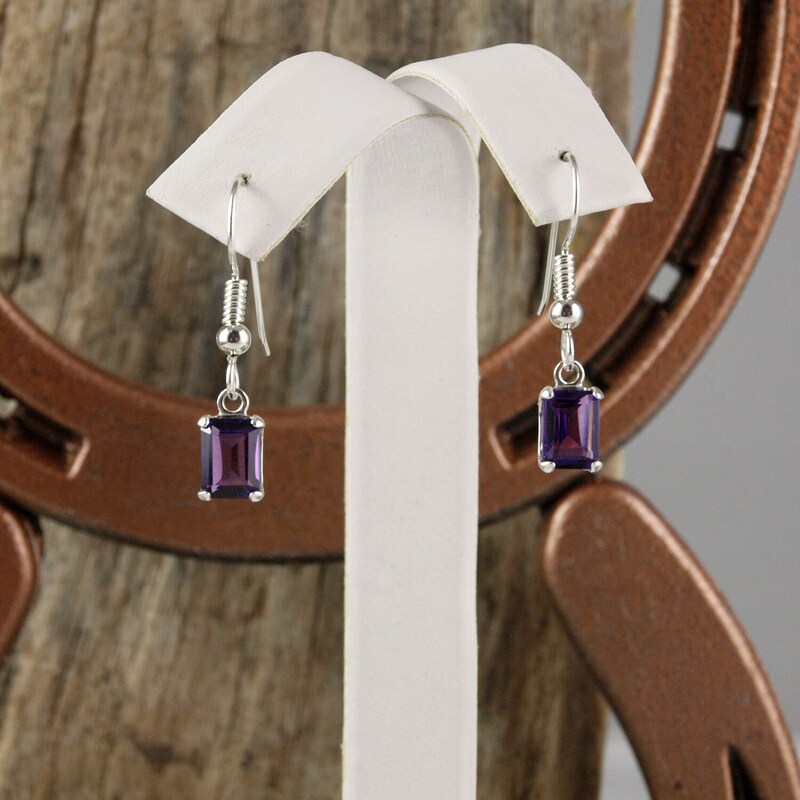 Silver Earrings -Dangle Earrings -Purple Amethyst -Amethyst Earrings: These stunning, sterling silver dangle earrings feature two natural purple Amethyst stones. 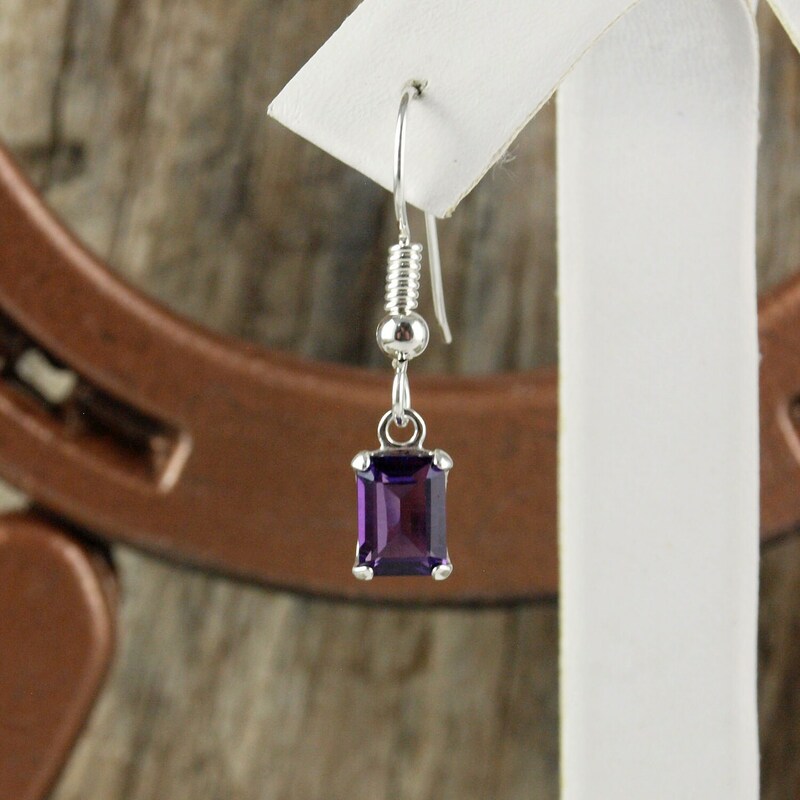 The Purple Amethyst are 7mm x 5mm (1/4" x 1/5") and have a total weight of 2.2 ct. 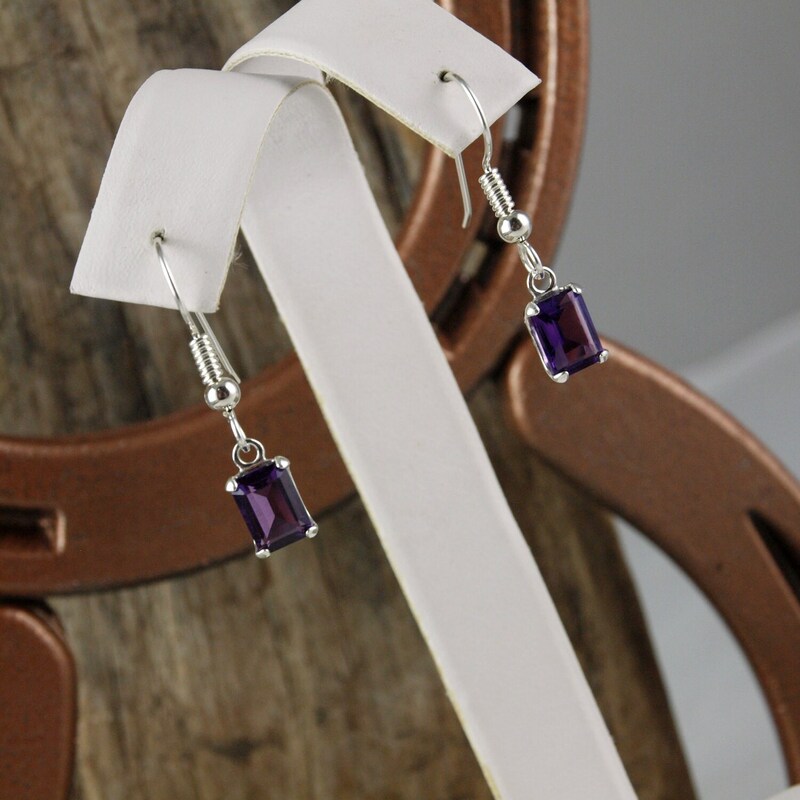 These earrings are 28mm ( 1 1/10") long from the top of the bend to the bottom of the dangle. The silver setting, including the silver bead really accentuate the gemstone. 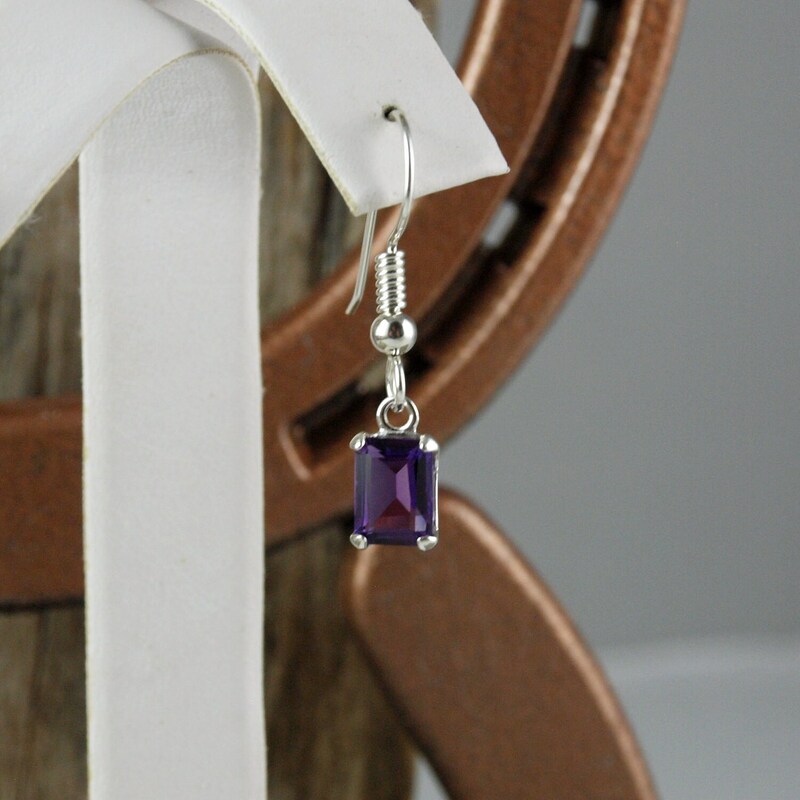 These gorgeous stone have that fantastic deep purple color that has made February's birthstone so sought after! These are a quality pair of earrings that will make an excellent present, especially when paired with one of our pendants! 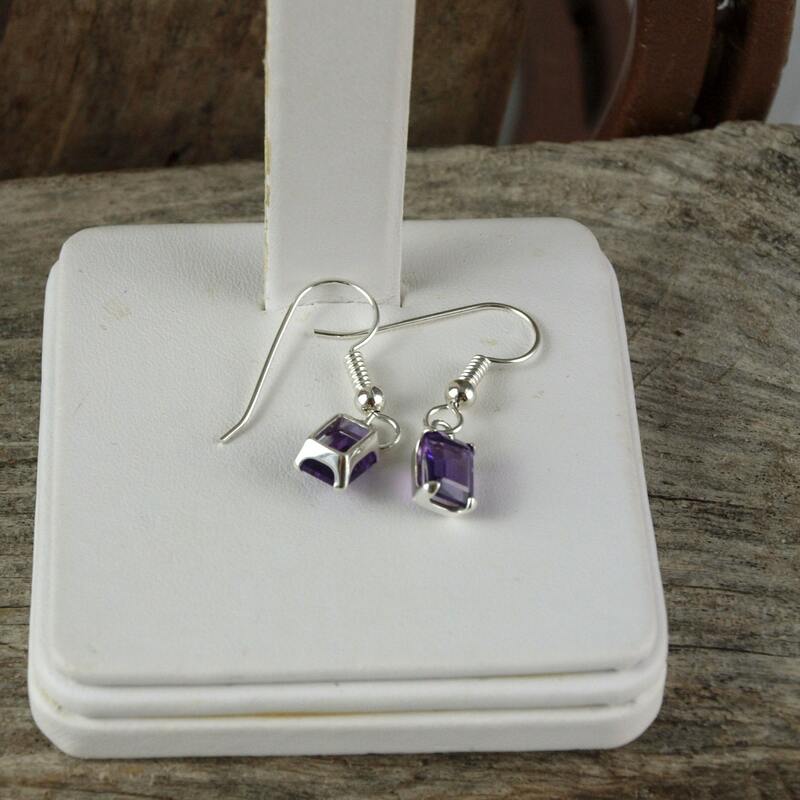 As with all of our earring, we will ship these earrings in an elegant gift box for no extra charge!